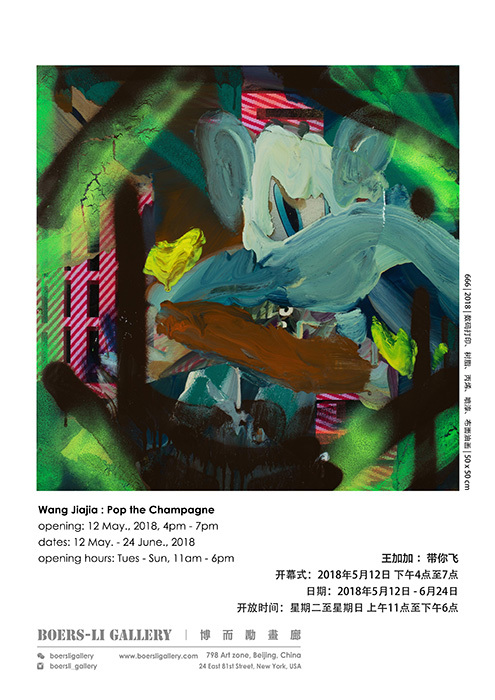 Boers-Li Gallery is pleased to announce the solo exhibition “Wang Jiajia: Pop the Champagne”, opening on May 12th, 2018. 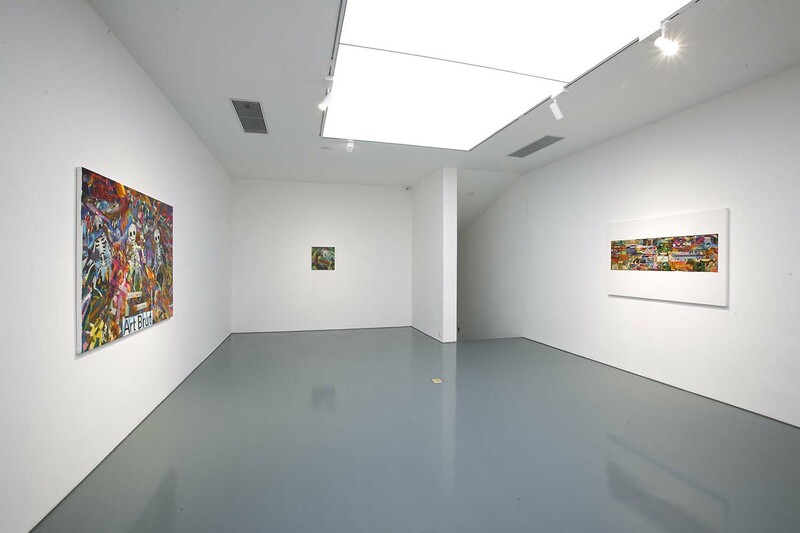 This occasion marks the artist’s debut with the gallery, bringing together a selection of Wang’s recent paintings. 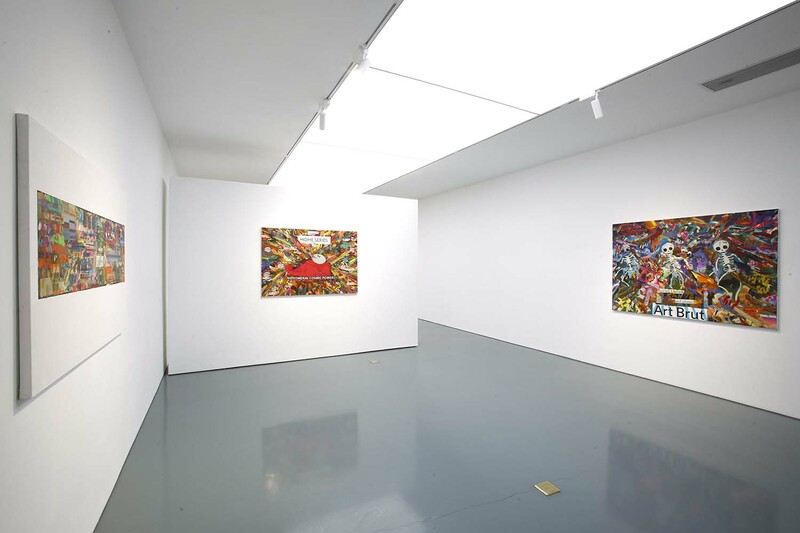 Wang Jiajia, born in the mid 1980s, whose coming of age like many of his generation, was eclipsed with the popularization of the television, the advent of the Internet, and the ubiquity of popular cultures. 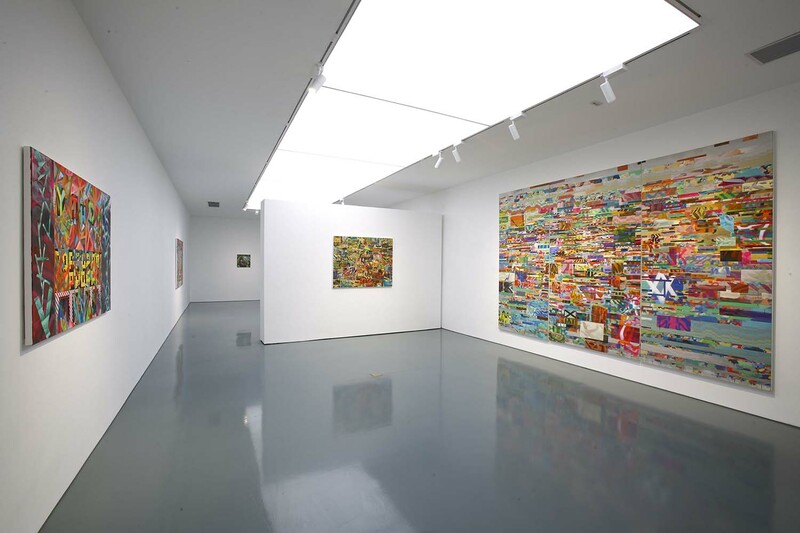 With the accessibility of these visual registries, his paintings draw elements from art history, 80s and 90s comics, animation and pop cultures from Asia and the U.K., to reveal a strong personal universe of intense colors mixed with abstractions and figurations. 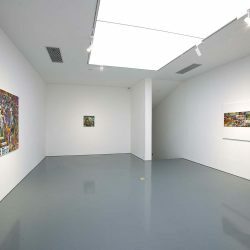 In his most recent series, Adventure (2016-), are composed of digitally sketched collages, gestural abstraction paintings as well as silkscreen techniques. Among them, one finds the motifs of video games from the 80s, logos from British television show “Top to the Pops”, the aesthetics of football jersey design, with which Wang hopes to articulate a strong sense of immediacy that is synonymous to the prevalent “click-bait” culture in the virtual reality of social media. 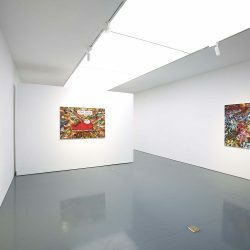 The thick impasto and vivid colors underlain with digitally edited background imageries on the paintings, in certain cases coated in resin to provide a glossy quality, screams “look-at-me” to the viewers. 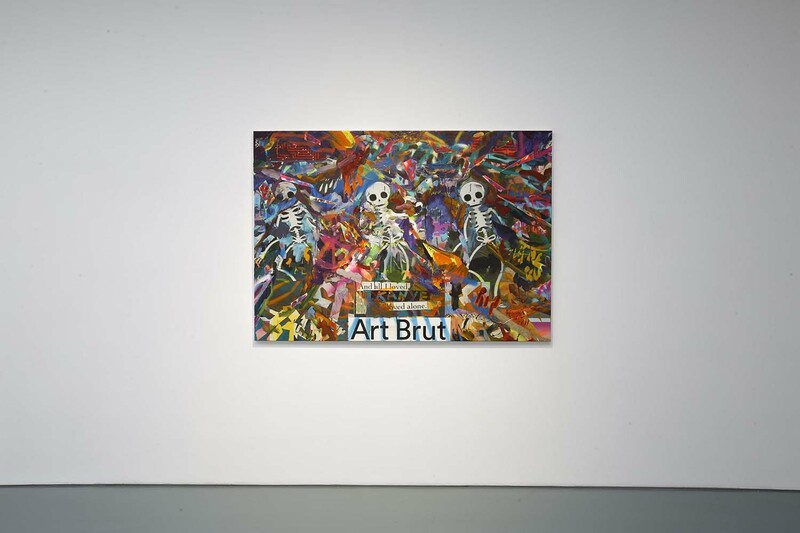 This multi-layering process and choice of motifs suggest a deliberate narrative on the omnipresence of digital imageries of the contemporary landscape, beckoning the spectators to embark towards a frantic, angst-ridden and lustful journey where one longs for digital imageries. Wang Jiajia, born in Beijing, China in 1985, has received a BA Honours degree from Central Saint Martins Collge of Art & Design in 2008. 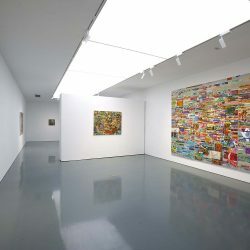 His recent solo exhibitions include “Alternate Realities” at de Sarthe Project Space Beijing (2016) and his works have been the subject of group exhibitions such as “The Space We Know”, Octavia Gallery, USA; “Art Unified”, Scope, Miami, USA; “2009 Adventure Beyond the Edge of Time”, Eleven Howland, London, UK, among others.